When the bomb goes off there'll be a thousand mutations! Andromeda will spread everywhere! They'll never be rid of it! Dr. Jeremy Stone in "The Andromeda Strain"
The "Andromeda Strain" is a 1971 science-fiction film, based on the novel published in 1969 by Michael Crichton. Probably is the best "microbiological" movie. The film is about a team of scientists who investigate a deadly organism of extraterrestrial origin that causes rapid, fatal blood clotting. But Andromeda has other surprises. This clip includes the famous scene of the "death monkey". The "Andromeda Strain" is a 1971 science-fiction film, based on the novel published in 1969 by Michael Crichton. Probably is the best "microbiological" movie. The film is about a team of scientists who investigate a deadly organism of extraterrestrial origin that causes rapid, fatal blood clotting. But Andromeda has other surprises. In this fragment, we can see the different sterilization and aseptic procedures taken as a precaution to avoid external contamination. Nowadays we know that some of these creates more harm than good, as for example the removal of the skin and intestinal microbiota. In this fragment there is also a interesting reference to the Bracewell probe, the possibility that an alien lifeform could be use as a comunication device. 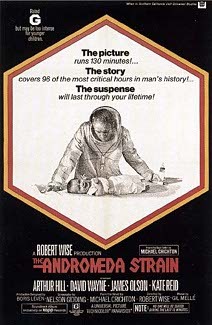 The "Andromeda Strain" is a 1971 science-fiction film, based on the novel published in 1969 by Michael Crichton. Probably is the best "microbiological" movie. The film is about a team of scientists who investigate a deadly organism of extraterrestrial origin that causes rapid, fatal blood clotting. But Andromeda has other surprises. In this fragment, Dr Stones describes the Wildfire laboratory. The "Andromeda Strain" is a 1971 science-fiction film, based on the novel published in 1969 by Michael Crichton. Probably is the best "microbiological" movie. The film is about a team of scientists who investigate a deadly organism of extraterrestrial origin that causes rapid, fatal blood clotting. But Andromeda has other surprises. 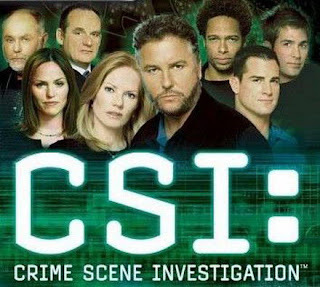 In the episode "Let the seller beware" from CSI Las Vegas the presence of the fungus Aureobasidium pullulans in a crime scene helps Grissom and his boys to resolve the case. In 1984 it was described that this fungus produced a dermatitis in people of Scandinavian descent. Unfortunately I couldn't found the original article. Instead I found this one about the relation of sensitivity towards A. pullulans with the severity of asthma attacks. Aureobasidium pullulans is famous because it's a fungus of biotechnological interest. Its main product is pullulan, a polysaccharide used in food and pharmaceutical industries to produce oxygen-impermeable protective films. But it also produces a variety of degrading enzymes such as amylase, proteases and xylanase. Alltough with some exagerations (It's showbusiness!) 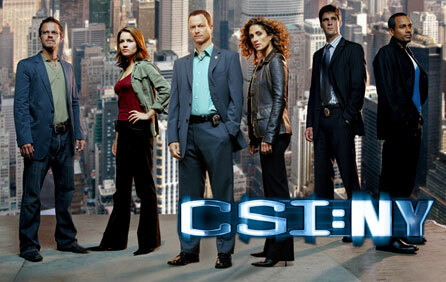 one must recognize that CSI series are on the top when we talking about science, entertainment and TV. In the episode "cuckoo's nest" from "CSI, New York", the CSI team discover fibers of "Greensulate". Fungal growth on agriculture residues renders this new biomaterial that can be a substitute for styrofoam. Here is the link to the company: Ecovative design. This is a good example of embeded marketing from a biotech company. Desperate times requires desperate measures. Arrowsmith and Sondelius do their best to control the spread of the plague.